Three Pair of Awesome Boots for Sale! For sale: These beautiful size 9 ½ D boots are gently used and offer authentic western styling with fashion-forward detailing as well as, unmatched comfort and durability. This boot features a Rojo Bridle brown leather foot and collar, 16" Ivory calf leather shaft with pull hole accents, a square toe, a spur ledge heel, orthotic insole and a rubber outsole with single stitch welt. Asking price,$155.00 Buyer pays for shipping. These gently used (they are practically brand new!) 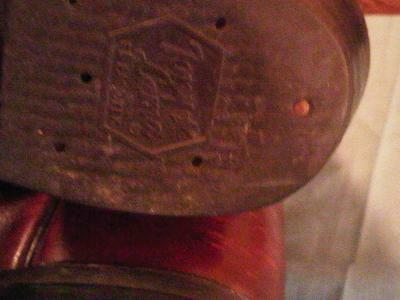 boots are a men’s size 13w and are the perfect work boot! Asking price $170.00. Buyer pays for shipping. 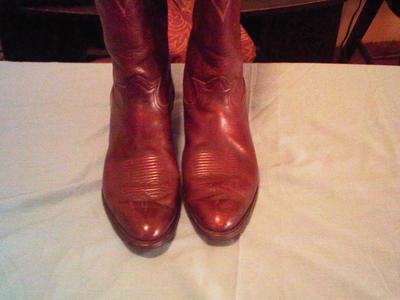 3)Tony Lama cowboy boots size 13w. 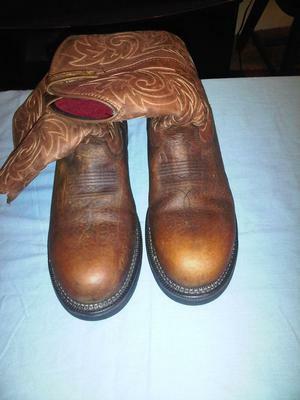 These boots are gently used with a brown finish and white welt stitching. The insoles are missing. Asking price: $100. As you can see by the pictures, they are in very good condition.